A number of consumers are impressed with the durability and cost savings that they can enjoy by purchasing a steel building. However, many people do not know what the totality of their project will involve. 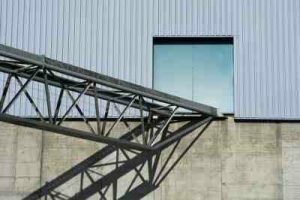 This article will touch on the seven steps necessary to secure the proper construction and completion of your steel building. The first factor to address is the proper design of your steel building. You need to work with the general contractor or erector who will assemble your structure to decide on the basic size and shape of your building. Factors such as the pitch of the roof, the type of steel roof you want, the number and placement of interior partitions in your building are critical decisions. This first step will also include the number of doors and windows you want along with their placement, exterior facades, mansards and parapets, and any other component options that you will require. Once you have decided on a basic design for your steel building you will need to order it from a supplier or manufacturer or have one assembled on site. This initially requires a deposit and will involve an engineer to create the specifications and blueprints for your building. The blueprints are critical to specify what materials will be utilized and what snow and wind loads are required to meet or exceed any of your local building codes. The third step involves the fabrication and delivery of your steel building. Once you have signed off on the blueprints, the production, or fabrication, of your steel building actually begins. All of the beams, posts, girders, side and roof panels, and fasteners that will hold your building together are all produced at one time at one factory. Once this is accomplished the structure is then shipped by truck to your construction site. All parts are pre-punched, pre-drilled, and pre-welded to the exact specifications you require prior to shipment. Once the building arrives it is ready to be assembled. Most erection processes require anywhere from two to eight weeks, depending on the size and complexity of the building. While the components are being manufactured the fourth step, site work, needs to be completed. The building site needs to be cleared and concrete poured for the foundation. The fifth step involves the actual construction of your steel building. Once all of the components have arrived and the foundation has been completed the assembly of the structure takes place. Step six involves the finishing work required for your structure. This involves, but is not limited to, the addition of insulation, interior partitions, exterior facades, placement of doors and windows, plumbing and electricity. The final step is a walkthrough by a building inspector in order that final approval is obtained and the building can be utilized.